BY DAVE ALLEN Much to my eternal chagrin, I never visited pre-9/11 New York City. (My excuse now, as it was at the time of my first visit in 2002, is that my upbringing was at first international, in Asia, and then rural and isolated, in Maryland, some four hours from Gotham. Geography was an obstacle.) Not visiting pre-Katrina New Orleans makes more sense, especially in terms of geography, but my sense of regret was perhaps even greater when I visited the city for the first time last month. It’s likely different now in ways I cannot understand, but I know this much: New Orleans has roughly 100,000 fewer residents than it did before the storm, and the insignia of rescuers – X’s with dates, letters and other indications of triage efforts – can still be found on the outsides of homes throughout the city. In some cases, when the X’s were painted over, residents drew new over the fresh paint, though whether out of pride or remembrance I can’t say. 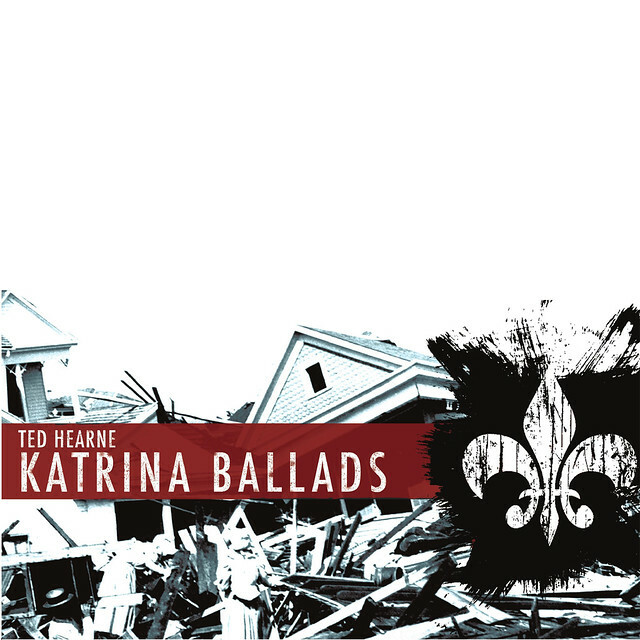 Before my visit, I listened extensively to Ted Hearne’s Katrina Ballads, an hour-long song cycle of contemporary-classical music inspired by the aftermath of Katrina in 2005. In its sonic inventiveness, as well as in its settings of soundbites from politicians, talking heads, and one distraught, rambling hip-hop artist, I already found it exemplary. But now, having heard the stories of people who lived through the storm, the album stands out to me even more, both in its artistry and in its treatment of its subjects. For this composition, Hearne [pictured below, right] had to overcome the words he chose to set; many of them, more than five years later, are still overly familiar. The ultimate measure of this composition’s success is how ably Hearne transforms these indelible sayings and, in a sense, redeems them through art. I was immediately struck by how even the infamous phrases that emerged from the Katrina disaster were reanimated and revivified; long strings of words that announce doom and despair are transformed into Morse code-like patter in “Prologue: Keeping Its Head Above Water,” taken from a 2001 article in the Houston Chronicle, and in the affectingly portrayed duet based on Anderson Cooper’s interview with Senator Mary Landrieu. The urgency of many of these lines, though, is informed by New Orleans’ native musical styles; languorous blues, jitterbugging swing, and sinuous horns and woodwinds temper the anger roiling beneath many of the sung words. Hearne even wrings all the dramatic and linguistic possibilities out of “Brownie, you’re doin’ a heckuva job,” a phrase surely at or near the top of the All-Time Political Boners list. Hearne sings the line himself, over and over again, in a madcap number that pairs a manic delivery with crunchy guitars and horn blasts. Not every song in the cycle is so sonically jam-packed, though, and it’s the slower, more meditative numbers bring to mind both the laidback ease of “The City That Care Forgot” and the pace of the government’s response and the city’s recovery. Hearne shows a sharp ear in the leaner, more spare numbers, like the fragment of “Old Man River” that leads into a laid-back lounge number that puts tinkling cocktail piano behind a languorous, blues-y setting of Barbara Bush’s off-hand racism, delivered amid the squalor of the Superdome. Mezzo-soprano Abby Fischer sings “almost everyone I talk to says ‘we’re moving to Houston'” like it’s a line from Bing Crosby and Bob Hope’s “The Road” series. Many sounds on the album — gnarly, distorted guitars and torqued-up drum set, for example — wouldn’t sound out of place on a hard-rock or heavy-metal album. Others will sound classical to you — baritone Anthony Turner’s wide vibrato in “Hardy Jackson 8.30.05″ or the creeping, dissonant string figures like something out of Stravinsky or Schoenberg. I find the album speaks most eloquently when the genre is harder to pin down: The pain evident in “Hardy Jackson” — “My wife, I can’t find her body, she gone,” Turner sings — could come from anywhere, as could the tumbling piano behind “Dennis Hastert 9.1.05,” a setting of the speech where the former House speaker says the city looks like it should be bulldozed. What a loss it would have been if it had, though you’ll find no judgment of Hastert’s words in the music. For all my fascination with Hearne’s sensitivity to text, I keep coming back to a purely instrumental track, “When We Awoke, It Was to That Familiar Phrase: New Orleans Had Dodged a Bullet.” It starts with stately, eloquent brass figures — a French horn, though I couldn’t identify it when I first heard it — that, through electronic manipulation, loops and turns on itself. Other instruments pile on — guitars, clarinets, a clanging cowbell — and though the French horn loop persists, it all leads to disintegration. No words are needed. Between Katrina and my visit, of course, there’s been yet another tragedy in the Gulf Coast. I don’t yet know of plans for a “BP Ballads” album, though I’d keep an open mind if Hearne were to try to set Tony Hayward’s bafflement or Congressman Joe Barton’s toady-ish apology. For now, whether you knew New Orleans before the storm or not, there’s Katrina Ballads. It has all the humanness of this decade’s great human tragedy, and enough of the tragedy that it feels close at hand, like an X or a high-water mark on the front of a house. 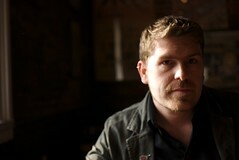 Katrina Ballads – Interlude 1 (work-in-progress) from Bill Morrison on Vimeo. This entry was posted on Friday, November 12th, 2010	at 8:01 am	and is filed under News	. You can follow any responses to this entry through the RSS 2.0	feed. You can leave a response, or trackback from your own site. « SCIENCE: The Insanity Virus?